Bringing a fresh concept to Korean drama and cable television, 'Seonam Girls High School Investigators' has now aired two episodes of its crime-fighting high-school girl story. The series offers mystery, quirky characters, an almost cartoonish presentation at times and plenty of shenanigans. While everything should work well with what the series has so far, it also has some issues which could become detrimental to it further down the line. Viewers of the more popular types of prime time Korean drama will no doubt find this series bizarre. All the tropes they are used to, the pervasiveness of romance throughout the main plot and the strong presence of attractive men as the center of everything is nowhere to be found in this show. However, the show balances that well by making its male lead a quite mysterious and therefore interesting and important character. This is a ladies' party, but men are certainly invited and will probably continue to be throughout the series. Full Article: [HanCinema's Drama First Look] "Seonam Girls High School Investigators". When considering the genres of Korean drama, melodrama is without a doubt one of the major ones. Even shows not belonging purely in it include melodramatic tropes, concepts and even tone. From the downright soapy to the romantic to the more workplace oriented, melodrama comes in many forms. 'Giant' offers a mix of elements and is not without its faults, but it is also nothing short of an epic series and great display of melodrama done well. Life has not been good to Lee Seong-mo (Park Sang-min), Lee Kang-mo (Lee Beom-soo) and their sister, Lee Mi-joo (Hwang Jeong-eum). After their father is murdered by a powerful military figure for the sake of money and their mother dies while on the run with them, the siblings are separated and find their own path in life. While Seong-mo has devoted his days trying to take down the man who started it all, Jo Pil-yeon (Jeong Bo-seok), Kang-mo and Mi-joo are just trying to get by. That is, until their paths meet again. Full Article: [HanCinema's Drama Review] "Giant". Maintaining a steady career in entertainment is not an easy feat. Maintaining a steady and popular career across media and earning respect is even harder. People can become stars, but stars fade. And those who usually support these stars rarely get their chance at the spotlight. However, many actors manage to find their way around these issues and earn their spot and the prestige that comes with it. Lee Beom-soo is definitely one of those actors. While many go into the craft without prior studies or make their debut later in life, Lee has been focused on this from early on. After studying in the Department of Theater of his university, he debuted in a minor role in 1990 film 'Well, Let's Look at the Sky Sometimes' at age 19. Since then, he has worked across media, focusing more on film and later drama as well. His movie breakthrough role was in 2003 film 'Singles' and aside from a minor role in drama '8 Love Stories', his first major drama appearance was in 2007 'Surgeon Bong Dal-hee'. Full Article: [HanCinema's Actor Spotlight] Lee Beom-soo. Family is very important in South Korea, but also in its entertainment. It often plays a big role in many genres. 'Descendants of Hong Gil-dong' combines a family comedy with action and adds to it an ensemble cast capable of handling both. The trick to making such combinations work is making each one matter in the progression of the other. The end result here is pretty satisfying. On the surface, the Hongs are a model family. A housewife, a professor, a teacher and a student, all exemplary members of society. However, the Hongs are leading a double life as descendants of the legendary thief Hong Gil-dong, stealing from the rich to help the poor. This becomes a problem when Moo-hyeok (Lee Beom-soo) has to hide the truth from his girlfriend Song Yeon-hwa (Lee Si-yeong) while robbing a dangerous villain called Lee Jeong-min (Kim Soo-ro). Full Article: [HanCinema's Film Review] "Descendants of Hong Gil-dong". 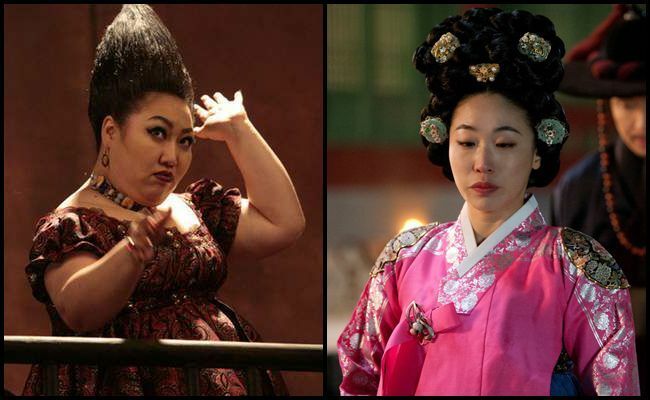 There are certain types of stories we have seen time and time again in Korean drama. The appeal of the male stars is often somehow central in prime time shows and adult leads is the norm. JTBC's 'Seonam Girls High School Investigators' is an interesting deviation from that norm. Whether it will succeed or not, it will definitely be an educating experience. Based on a novel, the series follows a group of high school students, led by Ahn Chae-yool (Jin Ji-hee), who solve mysteries at an all-girls school. Assisted by their teacher Ha Yeon-joon (Kim Min-joon), they crack cases and help struggling students. Full Article: [HanCinema's Drama Preview] "Seonam Girls High School Investigators". Extramarital affairs are not a happy topic for anyone involved. However, as it is a very common issue in any society, it is one worth exploring. The problem is that the nature of entertainment is to be what the word implies; entertaining. This can make it present such topics with lack of the necessary depth and respect. TvN's 'Sensible Love' or 'Valid Love' is therefore a gamble. 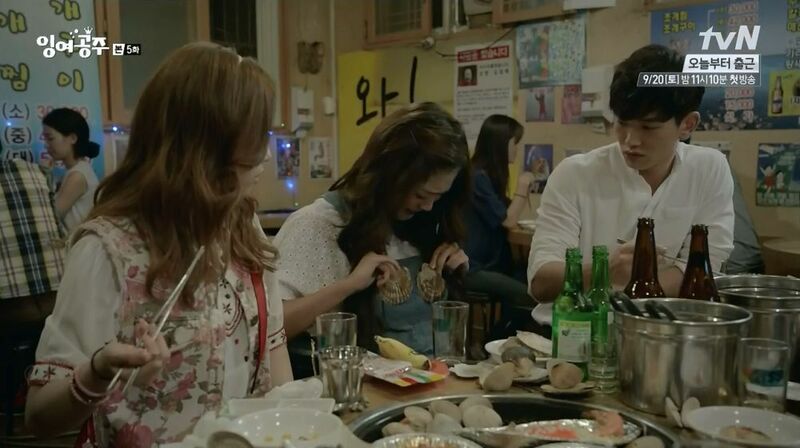 Jang Hee-tae (Eom Tae-woong) and Kim Il-ri (Lee Si-yeong) are a married couple who met as teacher and student. Despite Il-ri feeling like she loves her husband, she is shaken by a young man who enters her life, called Kim Joon (Lee Soo-hyeok). Il-ri finds herself in love with both men. Full Article: [HanCinema's Drama Preview] "Sensible Love". Shows about superheroes are not exactly common in Korean drama. When 'Blade Man' was announced, it sounded like a very silly premise and one which would likely have very little to offer aside a gimmick and romance. Surprisingly, the series did some things to be envied by others dramas and its freshness was wonderful. That is, until the usual drama problems struck. 'Blade Man' is truly odd, but not for the reasons originally assumed. Joo Hong-bin (Lee Dong-wook) looks like a typical spoiled rich man. Having a bad relationship with his father due to him driving away Hong-bin's first love, he takes his frustrations out on others. What makes him different is that he has supernatural abilities, some of which manifest when he is upset. Son Se-dong (Sin Se-kyeong) is a game designer looking for a new job for herself and her team. She takes care of those around her and works hard to earn a living. When she is hired at Hong-bin's company, they begin to slowly bond and with her help, Hong-bin starts addressing the problems in his life. Full Article: [HanCinema's Drama Review] "Blade Man". Buddy films might just never stop being popular. Even when the work is not mainly about that pairing, it will in some ways be present. There is just something about two people bonding across their differences and frustration with each other that appeals to audiences. 'The Gifted Hands' combines a crime thriller and buddy film, but the latter function is definitely the main one. When he fails to save a child from being murdered by a serial killer, detective Choon-dong (Kim Kang-woo) sets off to catch him on his own and save the next victim. When he looks at the crime scene, Choon-dong realizes a young mysterious graffiti artist he saw a while back had painted the crime down to every detail on a wall, before the crime was committed. The young man, called Kim Joon (Kim Beom), is revealed to have the power of psychometry, being able to see things about an object or person through touch. 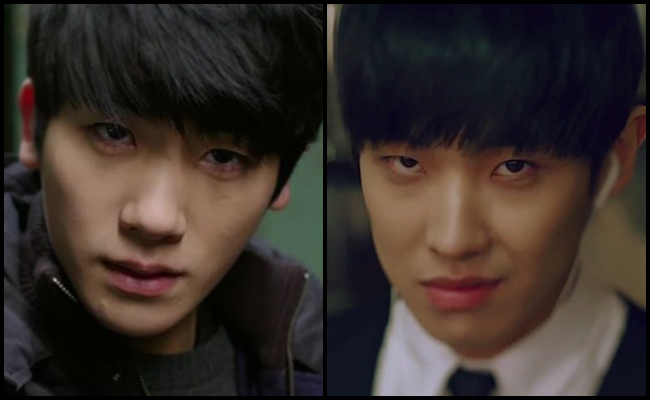 Choon-dong tries to enlist Joon's help to catch the serial killer and save the kidnapped child. Full Article: [HanCinema's Film Review] "The Gifted Hands". The way suspense thrillers involving serial killers usually go is that they build suspense over apprehending the killer or then finding them out. Sometimes the killer is revealed to the viewer early on, sometimes not, but their apprehension by the good guy or guys is the focus. 'Our Town' takes a slightly different approach, where the murders are not as much a mystery as the people behind them and what issues they are hiding. The film takes place in a town where a serial killer is murdering female victims and displaying them in public spaces and suspended from structures by ropes. Kyeong-joo (Oh Man-seok) is a failed writer whose only lifelong and current friend is Jae-sin (Lee Seon-gyoon), the detective in charge of the killings. After a heated argument with his landlady over rent, Kyeong-joo murders her and attempts to hide her body as a victim of the killer. He then offers to help Jae-sin with solving the murders, hoping to keep his crime hidden. Full Article: [HanCinema's Film Review] "Our Town". Works that tackle grim history are never an easy thing to make. But when that history and its wounds are still fresh and the sociopolitical circumstances of the events the work is based on are not just something which had its closure, handling them becomes a very daring and very serious move. '26 Years' is a story based on a comic and on the true and bloody events of the 1980 Gwangju Uprising. The film follows five people whose lives and families were ruined during the massacre of civilians by government troops in Gwangju. Three of them are contacted by the other two and told of the their plan. To enter the home of the former president who was in charge during the incident, ask for acknowledgement of the suffering he caused and assassinate him. Him being hidden in his heavily guarded home means the group only gets one chance at their revenge and their planning and timing need to be impeccable. Full Article: [HanCinema's Film Review] "26 Years". As lovely as it would be to live in a world where popular entertainment is all about representation and inclusion, this is sadly not the case. Presentation matters in any industry where popularity and glamour play a part. Looks and marketability matter. Depending on the specific industry or type of work, it can sometimes be all that matters. We live in a world where gender inequality is also a reality. Men can still lead works if not strictly within the category most popular in terms of visual appeal. However, for women, the standards in terms of being aesthetically pleasing are very narrow. That is to say, in all types of entertainment, including Korean cinema and drama, there is a very limiting beauty standard most female actresses need to adhere to in order to be considered acceptable in leading a work. Talent being all that matters is a happy thought, but it is sadly not how these industries largely function. In this piece, we are looking at two lovely actresses among the many who deserve recognition past their unconventional and not easily marketable appearance. The ladies we are looking at are singer and musical actress Park Joon-myeon and actress Lee Mi-do. Full Article: [HanCinema's Actor Spotlight] Park Joon-myeon and Lee Mi-do. OCN's crime shows have so far been mostly a combination of procedurals and a main story. This has had its good points and bad, a good one being that things never got boring with case after case, a bad one being that the main plot of things was usually too superficial and stretched out. 'Reset' focusing solely on the main story was a bold move. The question is, did it pay off? Given this was a new approach for the station, the answer would be somewhat. The show has a lot of problems, but it is a worthy attempt at what it tried to do. 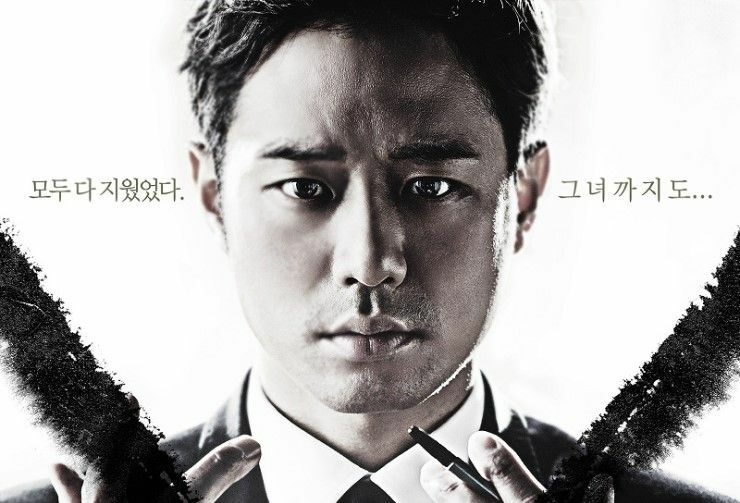 Cha Woo-jin (Cheo Jeong-myeong) is a prosecutor under hypnosis therapy for two major gaps in his memory of the past. When he meets a young woman, named Eun-bi (Kim So-hyeon-I), who is involved in a murder case, he is shocked to see she looks like his first love who died 15 years ago. A string of cases related to his past surface, all controlled by a mysterious mastermind called 'X'. 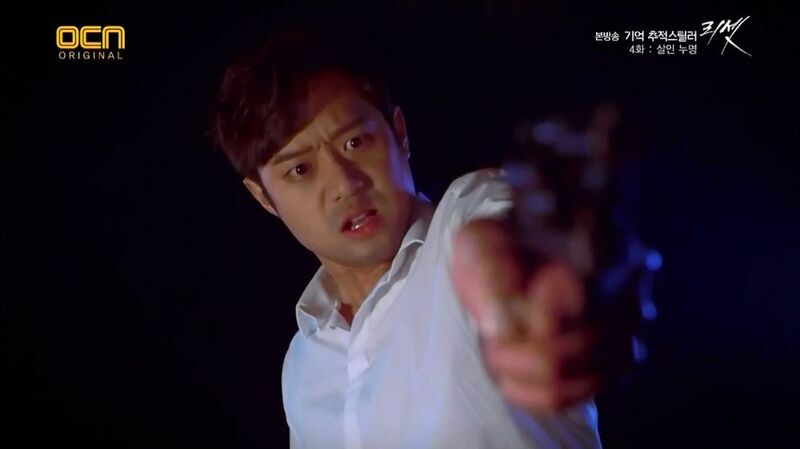 Woo-jin struggles to piece his memories back together, understand why he has become a target and catch the killer. Full Article: [HanCinema's Drama Review] "Reset". What introduction can one really give an actor like Lee Han-wi? A better question would be, who does not know Lee Han-wi. 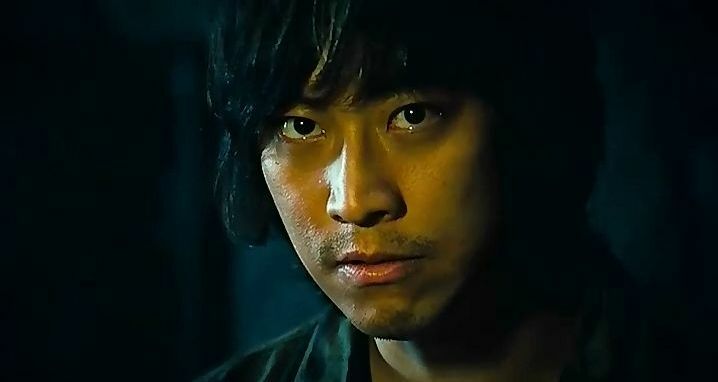 For anyone with even entry-level experience with South Korean cinema and drama, Lee is a face they have seen at least once. He has been in every type of work and role imaginable and even if not in a major one, he is memorable every single time. With a career of three decades and counting, Lee Han-wi is an entertaining and beloved veteran. Since his debut in 1983 and especially after his career started picking up around the late 90s, Lee has been working nonstop. Having been in almost 100 works in cinema and television, the man is definitely prolific in his work. Comedy, drama, thriller, light works, dark works, secondary characters, cameos, comedic roles, villainous roles, fathers, criminals, lawyers, you name it and Lee has probably done it. Being active in his profession aside, it is the sheer dedication in each and every role and his delightful portrayal of each character that really make Lee such a joy to watch. Full Article: [HanCinema's Actor Spotlight] Lee Han-wi. One would think it is easy to make fantasy for audiences. While other types of works need to rely on familiar concepts to hook viewers and keep the ball rolling, fantasy has the advantage of being able to wow with its world building, its creatures and the powers characters may have. 'The Night Watchman's Journal' certainly offers fantasy in volume, but it forgets one simple rule. Even fantasy needs structure and logic. The series follows prince Rin (Jeong Il-woo), who lost his right to the throne after his father lost his mind to black magic and attempted to kill his own family. Rin's ability to see ghosts, making him a threat to his half-brother King, is one he has been trying to hide for years. When the villain responsible for his fate comes back with plans to resurrect the dragon god Rin's father vanquished, Rin must face his abilities and reassemble the Night Watchmen, a group dedicated to controlling ghosts and magic in order to protect the crown. 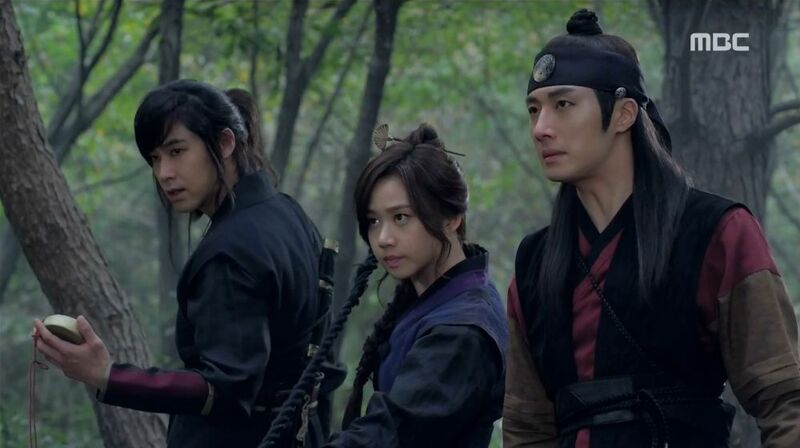 Full Article: [HanCinema's Drama Review] "The Night Watchman's Journal". Romantic comedy with fantasy elements is common in Korean drama. The fantasy elements give a twist to a type with very little deviation from its formula and they offer some dramatic conflict. 'The Idle Mermaid' (a.k.a 'Surplus Princess') aimed to be the odd one out from the start. With more of an ensemble approach and unapologetic quirkiness, it tried to be something new and fun. Despite being cut short due to bad ratings, it managed to do just that. When a mermaid (Jo Bo-ah) recklessly drinks a potion to become human and chase after her crush, she realizes she has 100 days to make love happen before she disappears forever. Adopting the human name Kim Ha-ni, she is aided by the person she stole the potion from in settling down at a boarding house. Struggling to approach her "one and only", she must learn how to live as a human and face the problems people her age struggle with, while racing against time to find true love and survive. Full Article: [HanCinema's Drama Review] "The Idle Mermaid". Disaster movies are not really a huge genre in Korea. With budget and scale being an issue for those more into the action than the human element and those focusing on the human element limiting their destruction, it is a tricky type of film to pull off. 'The Tower' is definitely in the former category of going for big visuals, big dangers, big everything. At the end of the day though, it offers more style than substance. It is time for Christmas Eve celebrations in the new twin high-rise aiming to provide only the finest luxury living to its inhabitants. The owner wants to host a decadent grand opening, going as far as to bring in helicopters for providing fake snow. But strong winds crash the helicopters into the complex. To make matters worse, failing safety measures mean the fire is out of control. As the buildings are in danger of collapsing, firefighters arrive and begin a race against time to evacuate the survivors. Full Article: [HanCinema's Film Review] "The Tower". As popular as the romantic comedy genre is in drama, Korean movies are not a medium that has really focused on it much. There are some nice films of course, but few and far between. When they get things absolutely spot on, however, it is a very entertaining and satisfying experience. 'Clash of the Families' takes a comedic turn at a Romeo and Juliet type of romance and its best qualities really make it one heck of a fun film. The year is 1989. Hyeon-joon (Song Sae-byeok) is a man from Jeolla who illustrates romantic comics under a pseudonym. Da-hong (Lee Si-yeong) is a pianist from Gyeongsang. The two fall in love after having been pen pals for three years and want to get married. But their home provinces have a known rivalry. To make matters worse, Da-hong's father has a particular hate for Hyeon-Joon's origins. The couple make a plan for Hyeon-joon to learn the Seoul dialect and impress Da-hong's family before revealing his roots. Full Article: [HanCinema's Film Review] "Clash of the Families". The entertainment industry is not exactly female dominated. This is not only true in Korea, but it is true also in Korea. The romantic genre in particular might be aimed at female audiences, but it is sadly not always concerned with real issues that women face and when it comes to Korean drama, not even concerned with exploring them from a female perspective. 'I Do, I Do' breaks away from that mold and offers a romantic comedy that is a bit more in touch with its target audience. Hwang Ji-an (Kim Seon-ah) is a career focused shoe designer. Working at a big company, she wants to make it to the top and achieve great things. 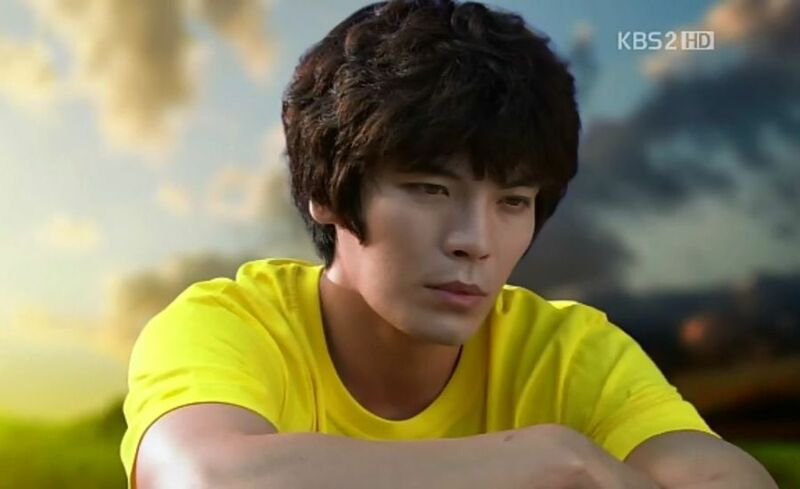 Park Tae-gang (Lee Jang-woo) is a poor young man who is helping his father in creating knock offs of famous shoes. He is talented and has potential, but cannot reach for his dreams when making a living is so hard. During a very bad day, the two get drunk and end up sleeping together. Ji-an discovers she is pregnant and has to face the dilemma of choosing between her future as a designer and motherhood, which her age might not allow her to have in the future. Full Article: [HanCinema's Drama Review] "I Do, I Do". There are many ways for a young actress to enter show business and many paths to choose. Some go for movies, some for drama, some try to aim for romantic comedy, others go for melodrama or sageuk, which are the more popular genres in Korean drama. Some, however, will go for variety and the potential to stand out in different genres and styles of work. Lim Soo-hyang seems to be going for that taste of different things. Lim is a rookie actress and one who is very young both in age and her career. After making her debut in a very small role in 2009 movie '4th Period Mystery', which is also her only movie to date, Lim landed a supporting role in drama 'Paradise Ranch'. She received her first leading role in 'New Tales of Gisaeng' in 2012, before being cast as the second female lead in 'I Do, I Do'. 2013 and 2014 saw Lim taking a turn for the action genre, as a supporting character and villain in 'IRIS 2' and female lead-turned-second female lead in 'Inspiring Generation'. Full Article: [HanCinema's Actor Spotlight] Lim Soo-hyang. Caper movies are a special type of good mainstream fun. They are a demanding type, as the plans devised and/or thwarted and the sequence of events leading to the ending need to be both exciting and pretty hole-free. When done right, it is magic. Characters and actors also play a very important part in them, since they carry the weight of one specific situation and a much tighter focus. 'Going by the Book' is an interesting take on a heist film, but its unique idea stills fits that description. When a town's new police chief (Son Byeong-ho) is asked to do something about a string of bank robberies creating bad reputation for the force, he comes up with a plan to form a realistic police drill and gain the public's trust. Jeong Do-man (Jeong Jae-yeong) is a recently demoted officer who is a perfectionist about his work. He sticks to the rules religiously and has great work ethics. Knowing of this, the chief asks Do-man to act out the role of the robber for the drill and demands he does it as realistically as possible. Full Article: [HanCinema's Film Review] "Going by the Book". Asian horror is without a doubt one of the biggest genres known to international viewers. Korean horror specifically has its hits and misses, but very few movies really manage to go beyond the entertaining type of pop-corn horror. Those that manage something different usually have a strong human drama behind them, but that is still not a guarantee of quality and leaves no surprises by now. 'Arang' is an interesting and good enough thriller film and has a bit more to it than your average "light" pastime horror, but certain aspects of it keep it from being great. Detective So-yeong (Song Yoon-ah) and her new rookie partner, Hyeon-gi (Lee Dong-wook) are handling a case where a victim was killed and then the house set on fire. As they dig in further and another murder happens, they realize the victims are all acquaintances and related to a case that happened ten years ago. What they do not know is that the victims are haunted by a ghost at their time of death. That is until So-yeong starts seeing the dead woman in her dreams. Full Article: [HanCinema's Film Review] "Arang". 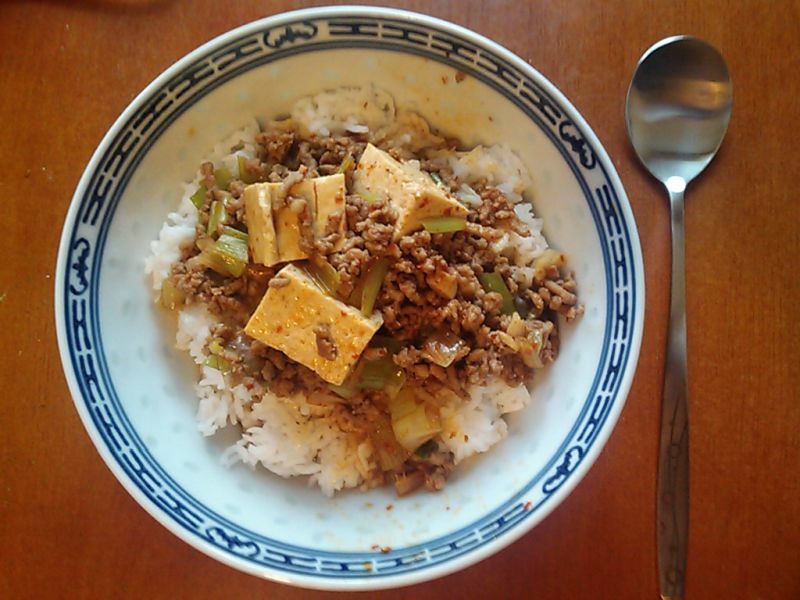 I'm not even sure if it qualifies as mapo tofu, but here it is anyway. Those familiar with OCN's series know that the channel is not one to break formula in any major ways. While its shows are very different to the usual Korean drama, they are still very much limited by a different type of mold that the channel has created for itself. Some of its series have changed things up, but usually in minor ways not related to the basic setup. This is where 'Reset' and its different structure come in. OCN shows are usually a combination of procedurals and a main plot. Be it a vampire looking for his sister's killer or a medical examiner fighting his own brain, those parts of their main plot are spread thin throughout a season and show in its entirety. The cases in-between are unrelated to the main plot, which is mostly forgotten after the introductory episodes and until the season's final ones. 'Hero' tried connecting all its cases to the main one, but bad writing means those cases fell into the protagonist's lap in a contrived manner. 'Reset' follows that path, but makes the connection logical. Full Article: [HanCinema's Drama First Look] "Reset". While OCN might be the current king of the crime in Korean drama, crime as a topic, premise and even genre for shows is nothing new for the industry. Series with crime as their genre or an integral part of them might not appear often, but attempts have been made with various results. 'Sign' is a big attempt at pure crime and achieves some new things, but its problems and lack of a solid main plot ultimately fail it. 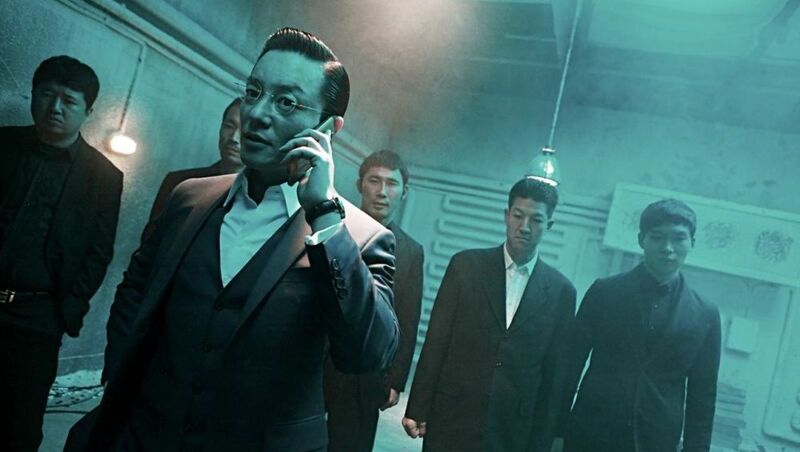 When a popular idol is murdered, coroners Yoon Ji-hoon (Park Shin-yang) and Lee Myeong-han (Jeon Kwang-ryeol) clash. 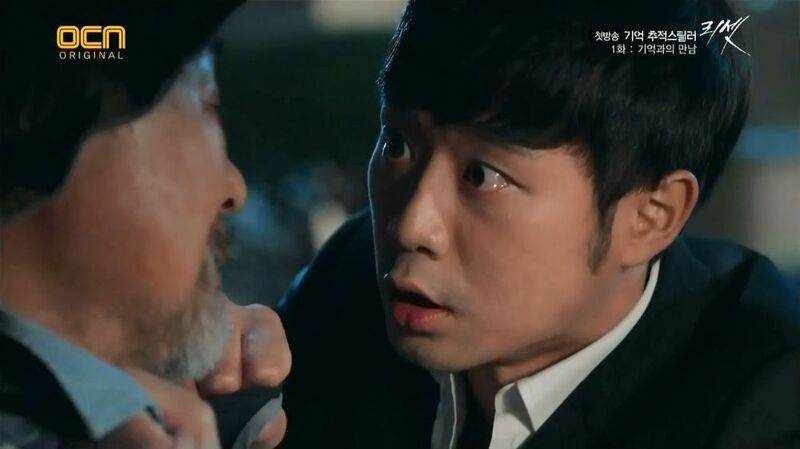 Ji-hoon believes the truth is all that matters, but Myeong-han is hired to conceal the true culprit. With the help of rookie forensic scientist Ko Da-kyeong (Kim Ah-joong), Ji-hoon tries to reveal the truth. A year after their failed attempt, the two reunite as boss and employee, taking on a variety of new cases and hoping to solve the mystery of that murder they met through and expose the true culprit of it to the world. Full Article: [HanCinema's Drama Review] "Sign". When looking at the style of women that are popular in Korean drama and considering the types of roles women usually get, it is obvious that being pretty and sweet are qualities favored. However, it takes all kinds of characters to create a work and there are many types of women in stories aside from the often cookie-cutter stars that lead them. 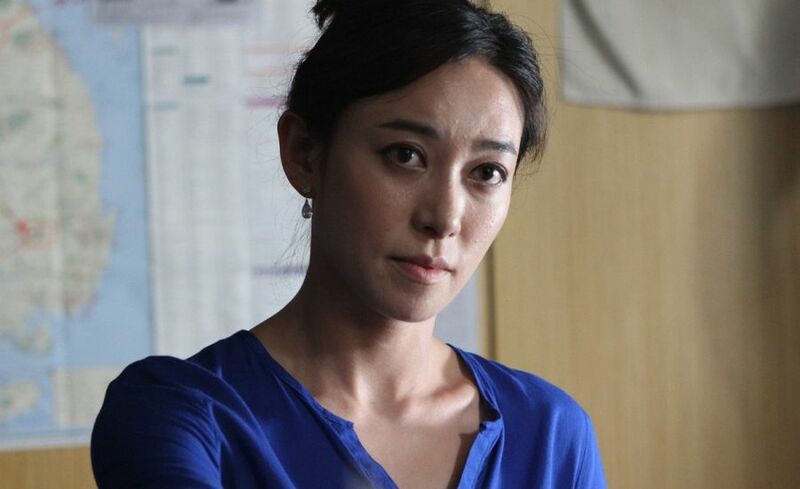 Kim Seo-hyeong might lack the innocent and juvenile quality appreciated in actresses, but her charisma and choices give her options those often lack. Kim made her official debut as an actress in 1994, but did not get many opportunities in central roles until about ten years later. 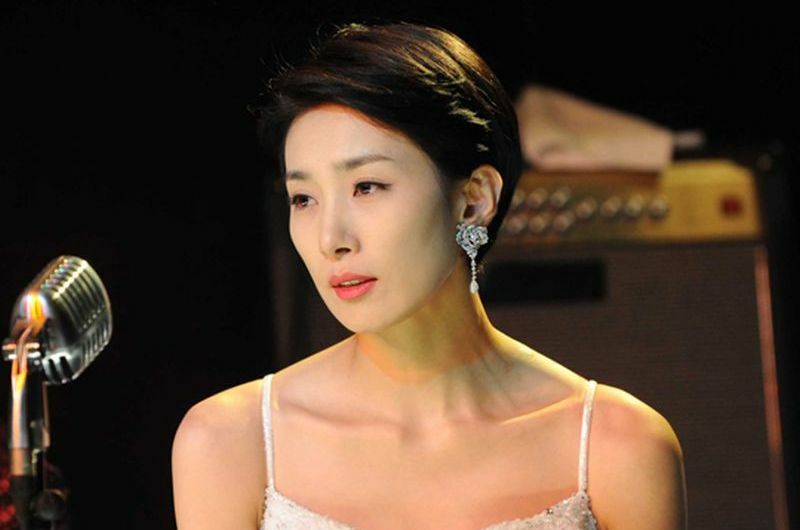 Her first big chance on the drama side came with 'Lovers in Paris' in 2004 and she is often remembered for her villainous role in 'Temptation of Wife'. On the movie side, she had a leading role in popular horror film 'Forbidden Floor - 4 Horror Tales'. Since then, she has been in a number of known and some very successful dramas and movies, both in supporting roles and also cameos. Full Article: [HanCinema's Actor Spotlight] Kim Seo-hyeong. Romantic comedy has seen better days in Korean drama. The last couple of years have really been disappointing, with shows going overly dark for the genre and even going as low as to falsely advertise themselves as something with a lighter tone. That is not to say romantic comedy shows in the past have not had their issues, but they were also more realistic, as realistic as this type of work can be, and mostly light in tone, as the genre should be. 'Fated to Love You' brings some of those issues back, but it also brings back the sorely missed lightness. Lee Gun (Jang Hyeok) is a chaebol son who is under pressure from his family to present an heir and who is planning to propose to his long-time girlfriend, Kang Se-ra (Wang Ji-won). Kim Mi-yeong (Jang Nara) is a woman who has trouble saying no to people, but she is a kind person who genuinely wants to help others. During a trip to Macau, Gun and Mi-yeong are accidentally both drugged and end up sleeping together. Making things even more complicated, Mi-yeong soon realizes she is pregnant. Full Article: [HanCinema's Drama Review] "Fated to Love You". If there is a type of work in Korean drama that has the potential to be ambitious and thrilling, that is sageuk. If there is a premise that has the potential to be an emotional rollercoaster and give audiences a riveting journey, that is a revenge plot. With both of those characteristics, 'The Joseon Shooter' had everything it needed to be one fun ride. While ultimately a pretty good series, some things sadly kept it from being quite the epic it could have been. 'The Joseon Shooter' takes place during a time of change in Joseon. With the kingdom caught between Qing and Japan, a group of reformists clash with the conservative noble class who are afraid of losing power. After Park Yoon-gang's (Lee Joon-Ki) father is killed by the conservatives and his family is branded as traitors, he is aided to Japan and then returns to have his revenge. Back in his homeland, his quest for justice puts his morality in danger, as well as his love with a noble woman and reformist called Jeong Soo-in (Nam Sang-mi). 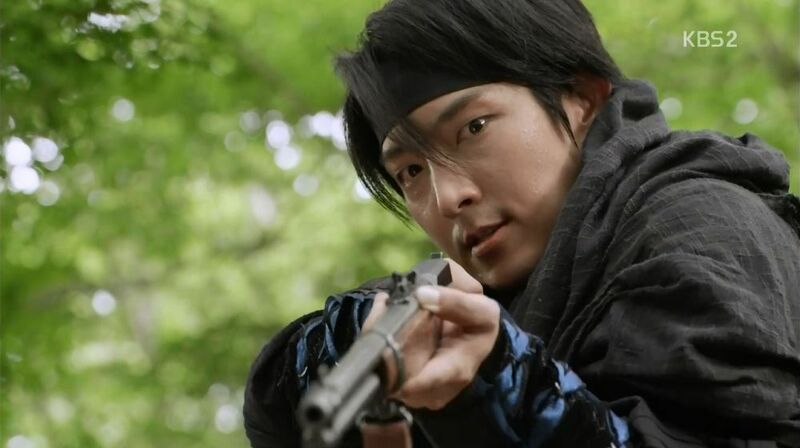 Full Article: [HanCinema's Drama Review] "The Joseon Shooter". Dramas are not averse to having self-referential meta material in them. We hear "like in dramas" said by drama characters often and some works might even parody others in direct or indirect ways. Like 2008 series 'On Air', 'The King of Dramas' explores the world of the drama industry. Sadly for the latter, a lot of the issues it criticizes rear their ugly head both within its plot and through the drama itself by the end. 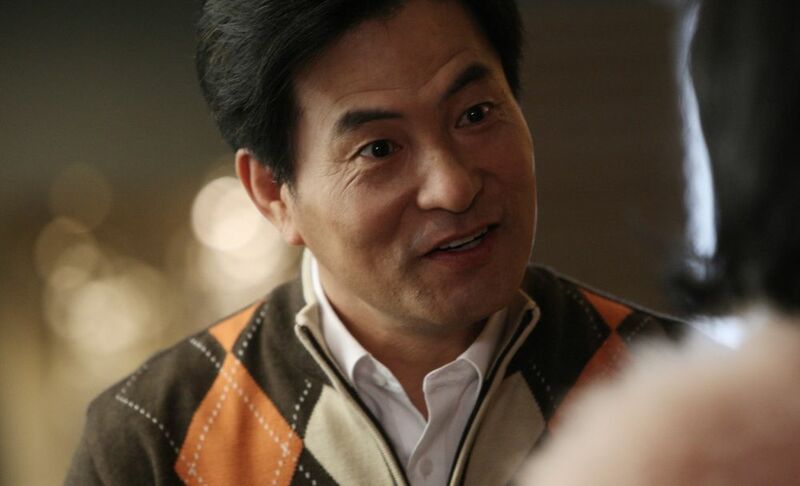 Anthony Kim (Kim Myeong-min) is the go-to producer for a successful drama. The works he handles get top ratings and satisfy all the industry criteria, while leaving little room for fresh concepts. When a production faces a problem, Anthony clashes with Lee Go-eun (Jeong Ryeo-won), an aspiring writer who believes stories are more important than business. After a casualty during filming, Anthony loses his job and fame. When he later opens his own production company and finds himself deep in debt, he and Go-eun reunite and decide to try creating a successful drama. However, their ideals are still on opposing sides. 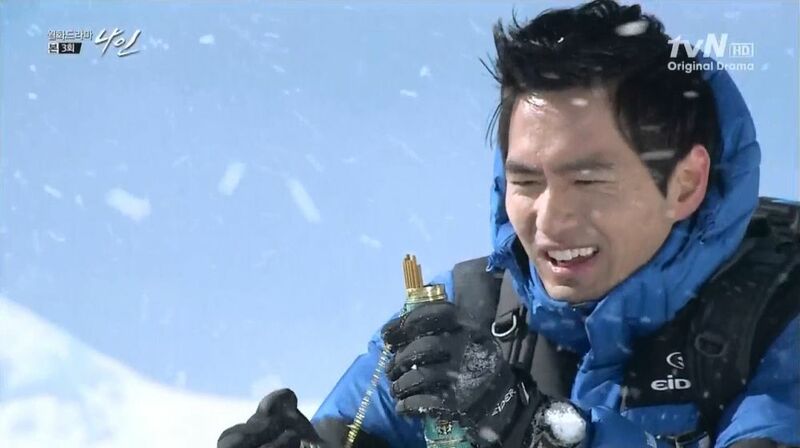 Full Article: [HanCinema's Drama Review] "The King of Dramas". Personal taste accounts for a large part of a person's preferences when it comes to art and entertainment. Our positive or negative emotions can make us blind to or more forgiving of flaws or then make us see flaws that are not there. When it comes to actors, everyone has favorites and those favorites are rarely the same. However, there are some performers who are good enough to both have and deserve the acknowledgment, if not admiration, of most viewers who experience their work. Kim Myeong-min seems to belong in that type of performers. Kim has been in the drama and movie industries since his debut in the 6th SBS actor contest in 1996. While he has credits in works since then, he only landed his first leading role in 2001 movie 'Sorum'. However, his breakthrough came with 2004 series 'Immortal Admiral Yi Sun-shin', which was offered to him just as he was about to give up on his acting efforts. Ever since then, Kim's career has been going nowhere but up, landing him many leading roles in popular dramas and films and making him a powerful presence in both industries. Full Article: [HanCinema's Actor Spotlight] Kim Myeong-min. Dramaland is always looking for stars. Whether new ones it tries to elevate to that status or already existing ones with the power to bring audiences, popularity trumps all when it comes to the Korean drama industry. Choi Woo-sik does not have the qualities the industry likes for its stars, but he has made his career so far by being someone who always manages to entertain, even if his roles are secondary. Often on the geeky or comic relief side, but not limited to it, his characters shape a likable image and capture the attention of those watching. 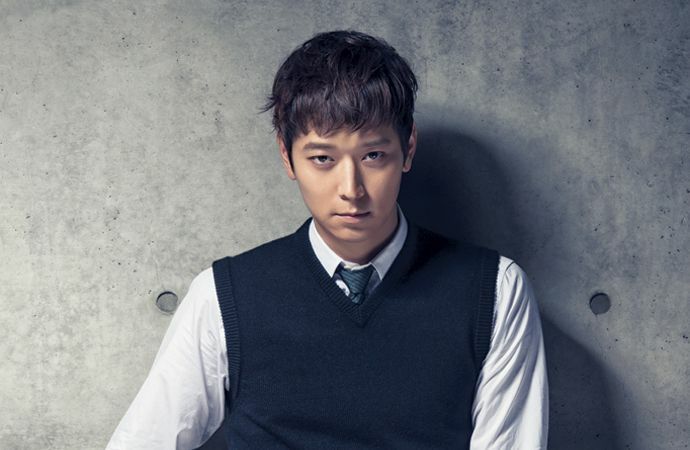 Choi has not been around the acting scene very long, having made his debut in 2011 drama 'The Duo' as the younger version of the second main character. Since then, he has mostly done cameo and secondary roles in drama and also had a role in 'Secretly and Greatly', making it his only movie role to date. His most notable appearances are in 'The Rooftop Prince' and also OCN series 'Special Affairs Team TEN', which is perhaps the most central role he has had so far aside from 'Drama Festival - Save Wang Jo-hyeon'. If we are to categorize him, Choi is a rookie, but progressing fast. Full Article: [HanCinema's Actor Spotlight] Choi Woo-sik. Famous idols who go into acting often share a very similar issue. The position of the roles they get is very central compared to what their skills at the time can actually handle. Park Yoo-chun showed promise straight away, by managing to carry the role of a lead in his very first work a lot better than what a lot of idols or other rookies manage. Park's career in the Korean drama scene started with 'Sungkyunkwan Scandal' in 2010. Since then, he has been having a very steady career in this industry and has also made his entrance into movies with 2014 film 'Sea Fog'. Park's strength in terms of choices comes from the fact that he does not go for romance alone, neither do his efforts only go as far as will be beneficial to his career as a musician. 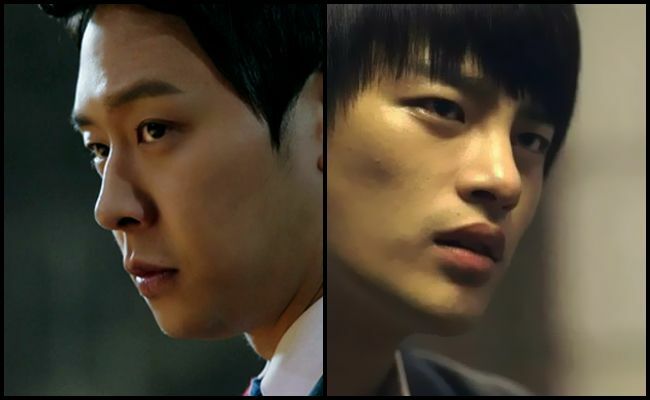 Full Article: [HanCinema's Idol Actors] Park Yoo-chun and Seo In-guk. Knowing one's level and limitations is an important virtue for creators of any kind. While ambition is good, it is also crucial to not take oneself more seriously than is appropriate. One common issue in Korean dramas is that works often tend to present themselves as more than the light entertainment they usually are. Once in a while, however, come shows that know where they stand, be they melodramatic or comedic. 'Haeundae Lovers' is a romantic comedy drama and it is also fluff, something which it is aware and unapologetic of, allowing it to be fun. Lee Tae-seong (Kim Kang-woo) is a prosecutor who is devoted to and passionate about his job. He has a rich and powerful father, a beautiful fiancée, but cares more about catching criminals than belonging in his circles. For his latest case, he goes undercover and attempts to infiltrate the family of Go So-ra (Jo Yeo-jeong), the daughter and heir of a famous has-been gang in Busan. So-ra and her family are trying to get by and hope to one day reclaim the hotel that was stolen from her father, leaving him mentally challenged during the gang conflict. After losing his memory due to an accident, Tae-seong is taken in by the family and begins bonding with them and falling for So-ra in the process. Full Article: [HanCinema's Drama Review] "Haeundae Lovers". CN Blue’s lead singer, Jeong Yong-hwa, is a talented man with a expansive stage presence and an abundance of energy. More often than not, however, this presence and energy doesn’t find its way into Jeong’s dramas. That makes his characters shaky. His more recent work has more finesse and relatability, but he started out quite rocky. Jeong’s first role was as the second lead in the 2009 drama “You’re Beautiful”. He had just debuted with his band CN Blue and was a rookie in every sense of the word. It is difficult for rookies to take on lead roles with no experience to fuel their acting. This was true for Jeong. Although he is winning on a concert stage and on reality television, it is quite another thing for him to take on the persona of another and be convincing with it. His Sin-woo in “You’re Beautiful” went through the motions, but did not feel alive. Despite this, “You’re Beautiful” was wildly successful and gave him a foot in the door for his next big television project. 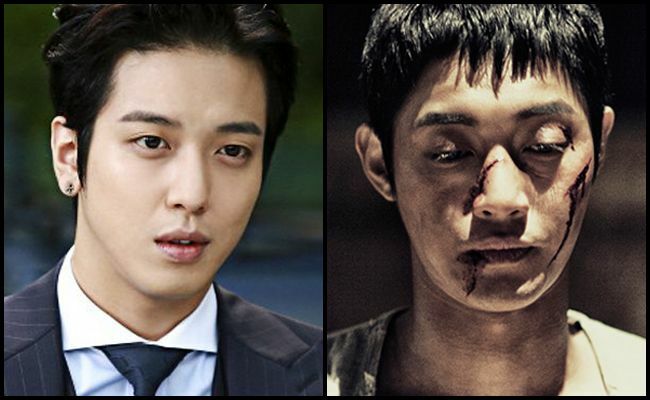 Full Article: [HanCinema's Idol Actors] Jeong Yong-hwa and Kim Hyun-joong. So while I have been busy and unaware of Korean happenings these past few days, this happened. A piece of news, translated above by Soompi, about Kang Dong Won having tried to get back to Korean drama and gotten rejected for the undisclosed part he took a shot at. Firstly, I am amused by the fact that many fans think the rejection was shocking. Casting directors are not fangirls, folks. We might find these people awesome, but everyone has their place. 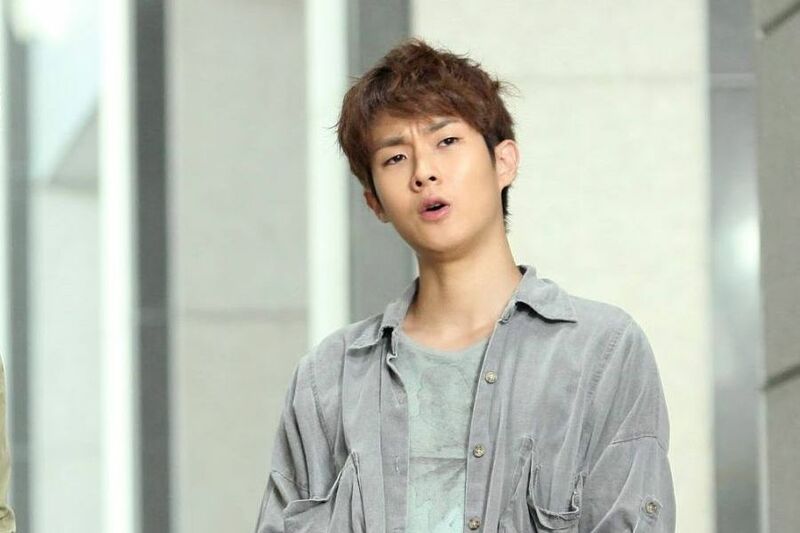 Kang Dong Won has little drama experience and is probably higher maintenance than actors who are used to being treated poorly by this system. Secondly, since no really awesome dramas have come out lately, I am personally glad he was rejected. I hope he can maybe land a cable one or at least almost entirely pre-produced one. There is no way he can avoid the things he went through during his short drama career on any of the Big Three and any live-filmed production and I hope he is not expecting to. If he does choose such a drama, he will have to be prepared. I personally think he might even take another 10-year drama break after that, having been traumatized all over again. One thing is for sure, he is going to get a lot of offers from now on. While creators will be skeptical and probably afraid of him, he is a big enough name to bring in people's interest and productions will still want him in their works just for that. I really hope he will choose wisely, because the issues he seemed to have a problem with have not really gone anywhere and we all know the artistic level and integrity of dramas is less stable than a crystal glass in a roller-coaster. There are a lot of reasons why some dramas just go wrong. They range from lacking material or creators to schedule issues to extensions and really remind us how difficult the current system is to create in. To create something good and have it remain good. It is also often impossible for outsiders to know exactly what went wrong aside from seeing the bad result of it. Sadly, 'Triangle - Drama' has been plagued with many issues, lacking material being what ultimately makes it all fall apart. 'Triangle - Drama' follows three brothers who find themselves involved in the same circles after having lived apart and unaware of one another for nearly three decades. Jang Dong-soo (Lee Beom-soo), the oldest, has become a detective who suffers from anger management issues. 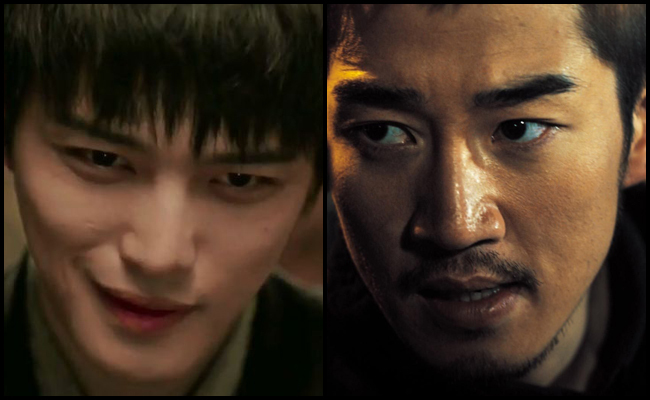 Jang Dong-cheol (Kim Jae-joong), now called Heo Yeong-dal, is a lowlife, a gambler and a criminal who aims higher in life. Jang Dong-woo (Si Wan), now called Yoon Yang-ha, has been raised as the heir to the local casino business, but also has severe issues from his cruel upbringing. Full Article: [HanCinema's Drama Review] "Triangle - Drama". Breakthrough roles are very difficult to predict for a rookie actor. Those who are not natural talents that dazzle from their very first work go through a process of development and often need more help in finding roles they can handle at their level, but also evolve through. 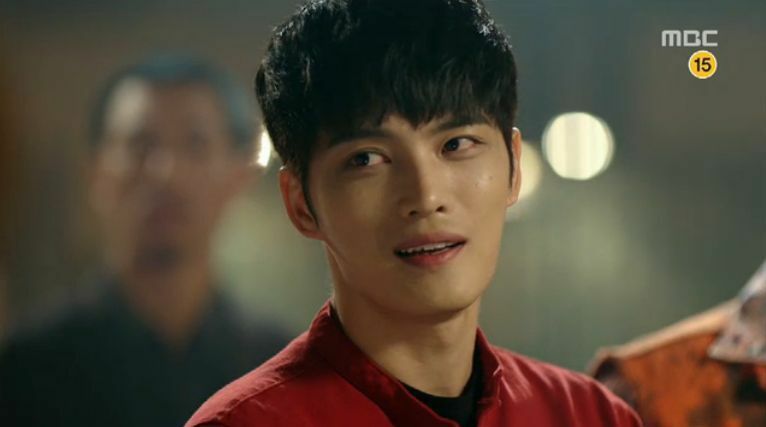 For Kim Jae-joong, who has so far been tolerable, but also uninspiring, Heo Yeong-dal of 'Triangle - Drama' was that role. Kim has been around in the acting industry for almost a decade, but only really made his presence more known with 2009 film 'Postman to Heaven' and also made a more solid drama debut in Japan, with 'Hard to Say I Love You'. Still not having made it big in movies, with 'Jackal is Coming' being the only one out so far, Kim has had more work in dramas, starring as the second male lead in 'Protect the Boss', as a tortured concubine's son in 'Dr. JIN', before he got his first leading drama role in his latest and aforementioned drama, 'Triangle - Drama'. Full Article: [HanCinema's Idol Actors] Kim Jae-joong and Yoon Kye-sang. The romantic comedy genre has not been doing well in Korean drama lately. While there have been a few successes, the overall frequency and brightness of romantic comedy series seem to be decreasing. What was once a disapproving mother in law in terms of a foil has now become serial killers, deadly diseases, unexpected resurrections and other manner of melodrama to ruin promising and light beginnings. 'Sly and Single Again' might not be a great drama, but it is one that stays true to its genre. Na Ae-ra (Lee Min-jeong) and Cha Jeong-woo (Joo Sang-wook) had a promising start as a couple. Good financial standing, love, plans for the future. After Jeong-woo decides to quit and have a go at starting a business, things get very bad very fast. Poverty and uncertainty ruin the marriage. Three years later, Ae-ra is struggling to find work, when she learns that Jeong-woo's business flourished and he is now rich and famous. She decides to apply for his company and get her revenge for her life being ruined. On the other hand, Jeong-woo also feels his life was ruined by her. Full Article: [HanCinema's Drama Review] "Sly and Single Again".